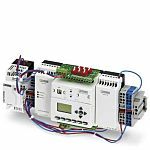 A PLC (programmable logic controller) is a digital industrial computer designed for the control of manufacturing processes or robotic devices where reliability control, simple programming and fault diagnosis is necessary. The CPU (central processing unit) forms part of the PLC system. PLC CPUs are microprocessors that act as the electronic circuitry within an industrial computer. CPUs in PLC systems carry out instructions from the computer program, performing basic mathematical, logical, control and input/output operations. What are PLC CPUs used for? PLC CPUs are important for the correct functioning of machinery in manufacturing and industry. They are used in the automation of electromechanical processes, including control of machinery on assembly lines, amusement rides, or lighting fixtures. PLC CPUs are divided into small, medium and large categories. 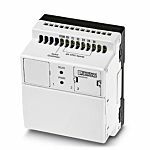 Small PLC CPUs are robust, compact and mountable on top of or beside the equipment to be controlled. Medium PLC CPUs mainly use rack mounting or backplane systems, allowing for simple upgrading via additional function cards. 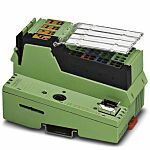 Large PLC CPUs are necessary for applications where complex control functions are executed, usually in large plants, in machinery requiring constant monitoring, or control of other PLCs.